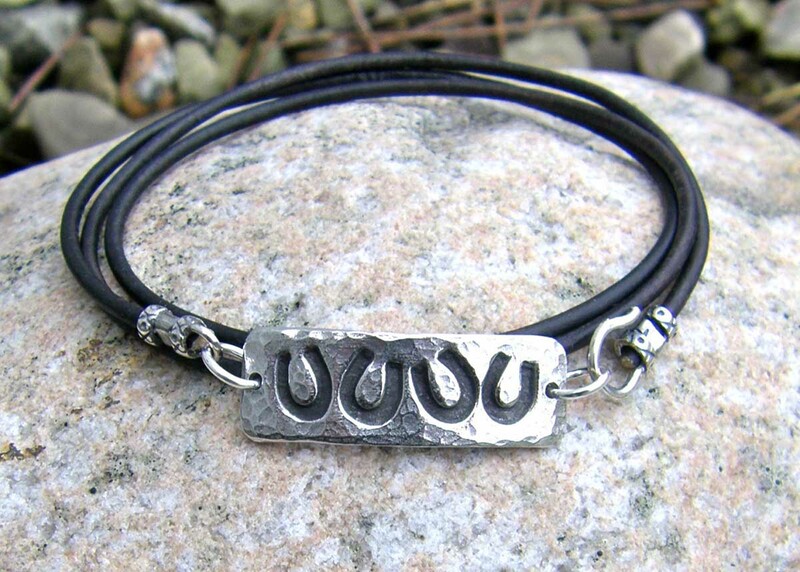 Hand cast pewter is hammered and bent to a gentle curve to hug the wrist. Oxidized/polished finish. The dark brown leather cord wraps three times with a total length of 21.5"